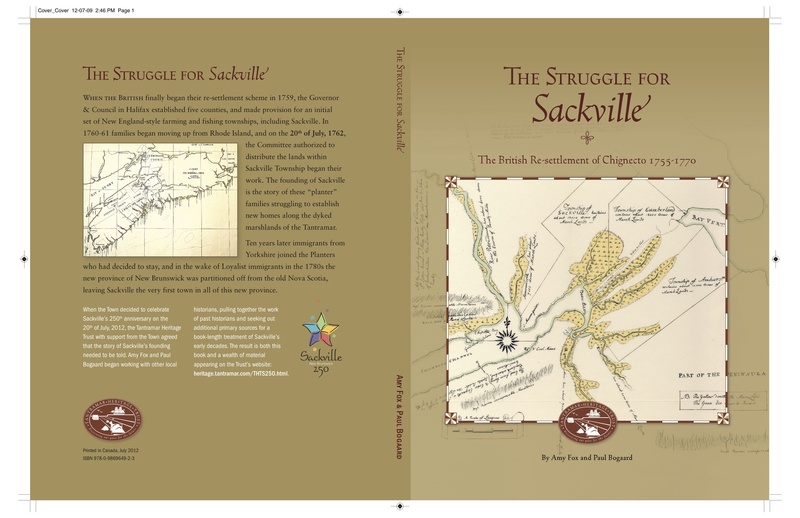 A research project that I began in June 2010 has finally reached its conclusion: I have co-authored a book with Dr. Paul Bogaard, entitled The Struggle for Sackville: The British Re-settlement of Chignecto 1755-1770. This book was published by the Tantramar Heritage Trust and released in time for Sackville, New Brunswick’s 250th anniversary, which we have been celebrating all year. The town’s first meeting was held on July 20, 1762, and I had the privilege of attending the book launch in Sackville a couple of weeks ago – exactly 250 years later – on July 20, 2012. 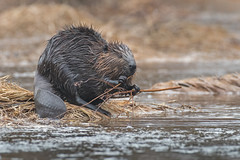 Al Smith, head of publications for the Trust, said some kind words about the research we have been conducting for this project, and then Paul and I both got the chance to speak briefly about our experiences. Although I am traumatized by public speaking in general, the majority of the audience was white-haired and very receptive. When the British finally began their re-settlement scheme in 1759, the Governor & Council in Halifax established five counties, and made provision for an initial set of New England-style farming and fishing townships, including Sackville. In 1760-61, families began moving up from Rhode Island, and on the 20th of July, 1762, the Committee authorized to distribute the lands within Sackville Township began their work. The founding of Sackville is the story of these “planter” families struggling to establish new homes along the dyked marshlands of the Tantramar. Ten years later, immigrants from Yorkshire joined the Planters who had decided to stay, and in the wake of Loyalist immigrants in the 1780s the new province of New Brunswick was partitioned off from the old Nova Scotia, leaving Sackville the very first town in all of this new province. It is a modest publication, and it is presently only available in Sackville (chalk that up to the anticipated market being mostly Sackville residents and local researchers), but I could not be happier with the way it turned out. You can, however, order the book on the Tantramar Heritage Trust’s website, if you are so inclined. And now I am back in Toronto, enjoying the rest of the summer with friends in the city and those visiting from far away and preparing to move to a new house in a couple of days.